We all love a good adventure! Take a short trip (no pun intended) in Downtown LaBelle with our adorable LDRC mascot, Fritz! Fritz invites you to take an journey with him for the #lowdowndowntown!! Fritz's latest adventure is his trip on Little Toot! Little Toot, the tug boat, is the spokes-tug for the Little Toot Foundation. Little Toot, wonderfully created by author Hardie Gramatky, who shared with us his humble beginnings as a playful tugboat in New York Harbor, joyfully frolicking in the waters of the Hudson River, ultimately proved that young people can achieve amazingly wonderful things. Hardie Gramatky’s Little Toot, whose original joy and spirit have breathed a new life into our own Little Toot, discovered and revitalized here in LaBelle, Florida. Through the power of storytelling, the Little Toot Foundation provides children an incredible environment in which they experience happiness, freedom and love. 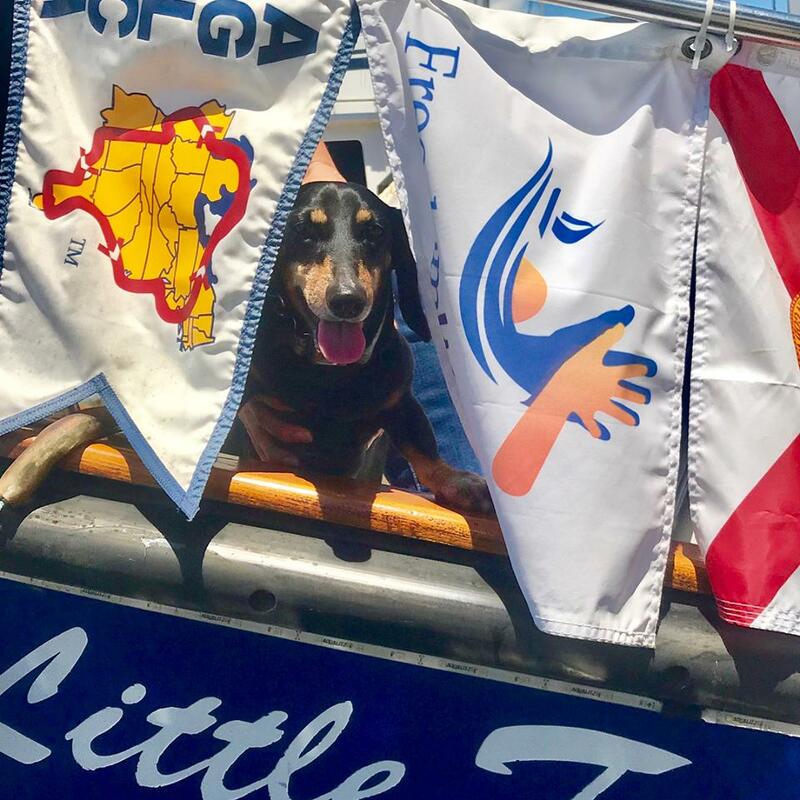 Fritz and all of Downtown LaBelle are overjoyed to be Little Toot's home port! Forrey Grill loves Fritz as much as we do! So, to show their love, a burger was created and named after him-The Fritz Burger Special! That started a tradition that has expanded into other specials with his namesake. Be sure to stop at Forrey Grill, located at 280 N Bridge Street in Downtown LaBelle, and see what new Fritz Special creations are on the menu! There really isn't anything Fritz likes more than our Friday on Fort Thompson Free Street Concerts! He loves to visit with fellow groupies and even get his picture taken with up and coming performers! Come see for yourself why this event is at the top of his list! Fritz loves to venture into our Downtown LaBelle shops and offices. Follow him on our LDRC Facebook page and on Instagram to see where he will be popping up next!